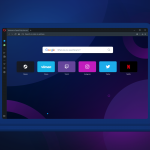 Yesterday we identified an issue with auto update to Opera 19. There was a risk that modified Speed Dials would be reset to default ones. We’ve fixed it and now you can safely update to the latest Opera version.